A poster was discovered in Charlottetown last Friday with the slogan that has community members concerned about the message. The poster has been taken down. A Charlottetown woman says she is disappointed after seeing a poster downtown that she says "promotes intolerance." Ellen Mullally spotted a sign last Friday afternoon taped to a lamppost at the corner of Great George and Sydney streets. It read "It's okay to be white." There were reports of the posters in cites in Canada and the US in the fall of 2017, and they've popped up in several cities again this year. 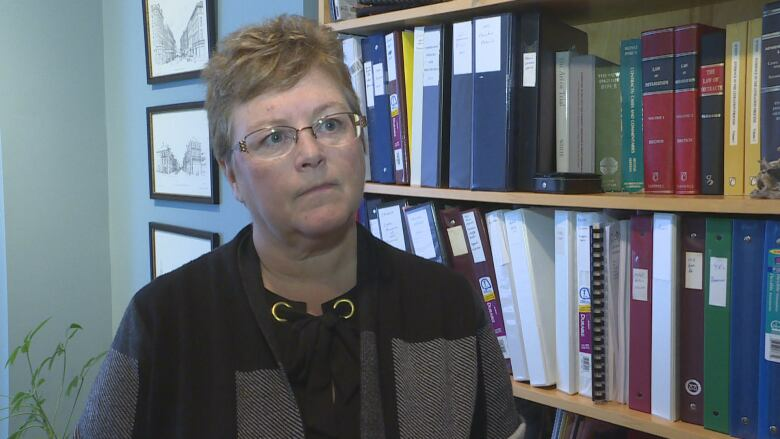 Mullally says she was "taken aback" to see one in Charlottetown. "To me, it's fuelling fear. It seems like it's a group who feels threatened by other people being part of our community who are not white. And to me that's absolutely ridiculous," said Mullally, who tore the poster down. "I can't say what their goal is, but to me it wasn't a well-intentioned goal." Hearing about the posters was disappointing, but not altogether surprising for Zain Esseghaier, who is the spokesperson for the Muslim Society of P.E.I. 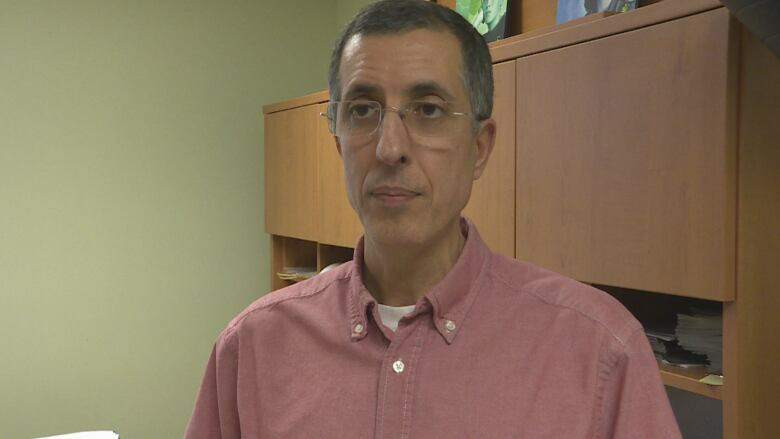 Esseghaier says given the news reports he hears nationally and internationally, nothing really surprises him. "We're normalizing all kinds of narratives nowadays. Things that used to be said in private are being said in public, and nasty things at that. Racist things. Things are being normalized," Esseghaier said. Brenda Picard, executive director of the P.E.I. Human Rights Commission is also concerned about the message of the posters. She says even if the exact words on the poster might not be clearly racist, the underlying message is negative. "I think the message that might be received by people is that it's not OK to not be white. And that's racist." Picard explained that when it comes to discrimination under the Human Rights Act, what is looked at is not the intention, but the impact on those affected. While she believes people could be reasonably offended by signs like these, in this case it is unlikely it would be grounds for a human rights complaint. "It would have to be something that actually encourages discrimination, or shows an intention to discriminate. So these words may not be sufficient to ground a complaint under our act," Picard said. As well, a complaint could not be filed unless the complainant knew who put up the poster. Picard does believe, however, that it's important for people to speak out against messages like those in the poster. "When you look at these things, often we think we're beyond that, we're not seeing that anymore. And so I think it is important to let people know that this is still happening, and when people hear racist comments, or see racist things, that they need to step up and say this is not OK."
Picard says if people see posters or messages they are concerned about, it is a good idea to tell police or the commission. She says even if they can't do anything about it, it is useful information to have. In this case, Mullally said she did report the poster to police. A previous version of this story misidentified where the poster was found.